According to my mother, Juanita Faye Odenbaugh, who work in Warsaw, Missouri, years ago, Kay Singer was a young Indian girl, who experienced a traumatic love affair, ending … when she jumped off a bluff, in view of Pomme de Terre entering the Osage. 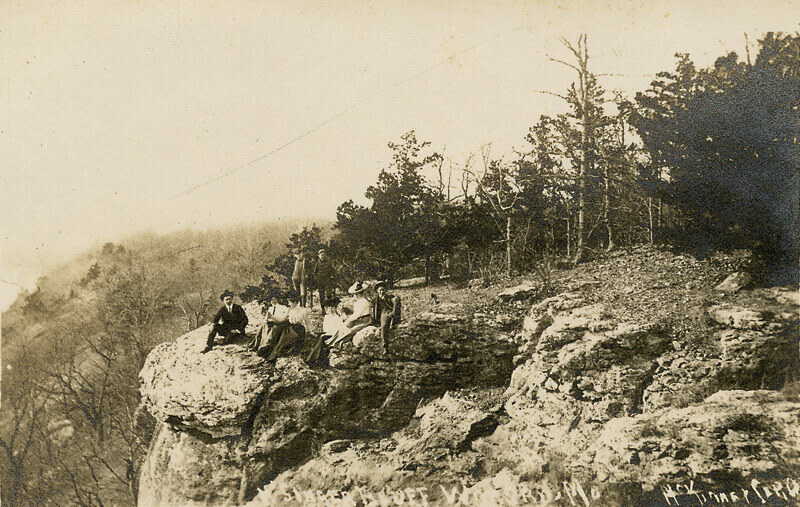 As time passed, Kay Singer’s bluff, became known as Kaysinger Bluff. How does no one realize that every scenic bluff has this same absurd story tied to it by the locals? If Indian girls were jumping off cliffs at that rate the native peoples would have been extinct long ago. I didn’t live in Warsaw but still feel I grew up there in the 50 s. My grandfather , who had a small Rocky Mountain log cabin, said Kay Singer driver her car off cliff. Not an Indian. My brother and I would climb down the cliff and go in small cave or out cropping looking for tarantulas. Cabin was past ball field on gravel road ,I think today there is a park on left and bike trails , past there on left we’re to crudely built posts marking the left turn on a very bad in kept road. At dead end was my grandpas cabin. Across the street were two brothers I became good friends with. Sonny and Roger. They wore no shoes and when walking through the woods they could smell a snake 50 feet away. Beautiful memories. Dean. We do understand it is a family name, and widely distributed. Is it German? Do you know what specific Kaysingers were in Benton county, Missouri? When? and what is their connection with the bluff? Thanks for commenting.